[Web Director] Join the most exciting team! 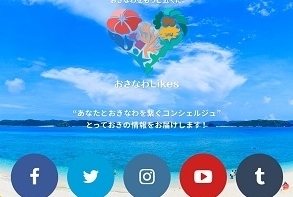 Distributed media “Okinawa Likes” introduces Okinawa widely from 5 channels. It is watched by 5 million users every month. 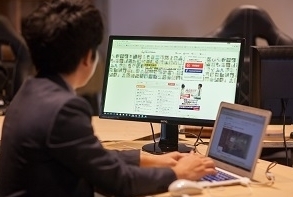 We operate Okinawa’s largest job offer matching service “Job Antenna” which have abundant job offering information with excellent search function. 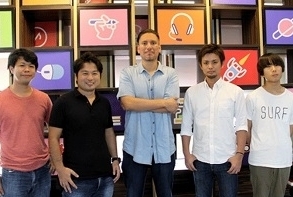 Ryukyu Interactive is an internet venture company that funded in Okinawa. With the vision of “Become a Japan’s leading internet company” and utilize the three strengths of marketing, creative and technology. We actively create new business, including Internet service business and next generation human resource development business. We challenge ourselves to evolve and innovate in a broad range of fields. We develop smartphone apps and Facebook applications based on customer’s needs. Also, we create our own service such as behavior data integration system for sightseeing in Okinawa and AI for job offer matching service. Job Antenna is the largest job offer matching service in Okinawa that have a large amount of job information with excellent search function. There are over approximately 6,000 job offerings and 5,000 companies’ information are posted on the site. we want to make the world where everyone can live healthily and longevity. Therefore, we are developing the smart sensor “GAIA” that can grasp the physical condition just by going to the toilet everyday. This will predict disease risk at early stage. This is our company’s main entrance. 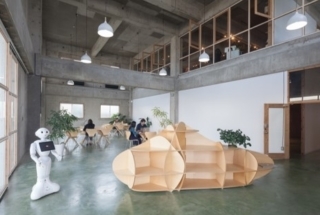 The office is designed by the famous architect Bella Jun. New subsidiary is established in Ho Chi Minh City, Vietnam. Our goal is to become a “leading Internet company in Japan”. The Internet companies representing Japan today started with only a few passionate people at first. They created services one after another, changed the lives of people more conveniently and more pleasantly. The Internet industry has changed the world in a good way with unbelievable speed, and we believe that it will continuously make the future more amazing, Surely, many attractive Internet services that beyond people’s imagination will born in the future. Creating an innovative future is human wisdom, an entrepreneurial spirit that makes impossible possible. Ryukyu Interactive will create Internet service one after another form Okinawa. We have many services to enrich people’s lives, and we will try various challenges so that we can create as many smiles as possible. In the near future, we will create a dreamlike Internet service that keeps people from all over the world captivated, will greatly influence society and change it to a better direction. This is what we are aiming for and the reason for action. We prepare the development environment according to our employees’ request as much as possible. Average age is 29 years old. ■Make a company where talented people will get together in Okinawa. Ryukyu Interactive is a company that started by only one person in 2009. After many fateful encounters with one another, we are growing to a team that every individual member has different characteristic. Many of our employees have work experience at large enterprises and venture companies. We are proud of our work quality of Japan’s top level in marketing, creative and technology. 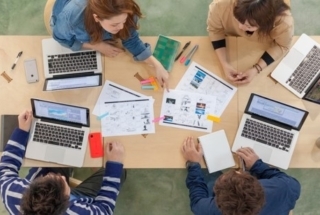 ■Create an environment where everyone can be excited at work. we view our employees as our most valuable asset. We recognize that the skill, dedication and enthusiasm of our team is critical to our success. The company supports a work environment that is challenging and demanding. Also, there is an environment that you can maximize the excitement by starting a new business. 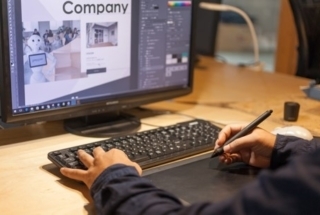 Our core business "Creative Business" covers a wide range of digital related fields ranging from digital marketing strategy planning to creative production, social promotion, media development, data analysis, and has led many customers to success. As a partner of a major enterprise, we have worked on many global brands’ creative solution, websites and campaign sites of major enterprises, brand content, as well as numerous creative production and marketing support. We are looking for a team member who can share the same value with us. Come to join us if you a person who desire to bring out the highest quality at work and want to challenge yourself. •Web site planning, design, progress control etc. web site planning, design, progress control etc.